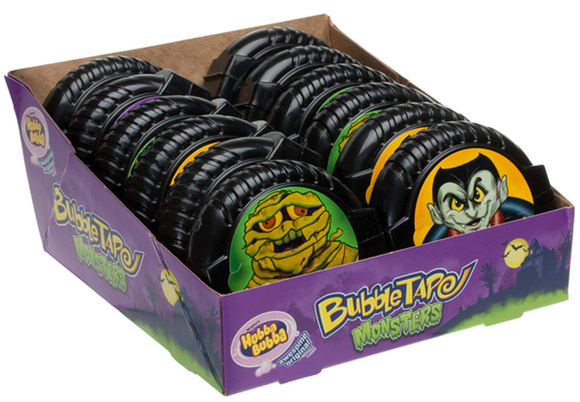 Hubba Bubba Halloween Bubble Tape is a great Halloween candy. Just in time for the Fall, Hubba Bubba Halloween Bubble Tape gum is sure to please all of you candy apple sweet tooth junkies! This festive flavor is great for anyone who enjoys this time of year. Only available for a limited time so get yours today!